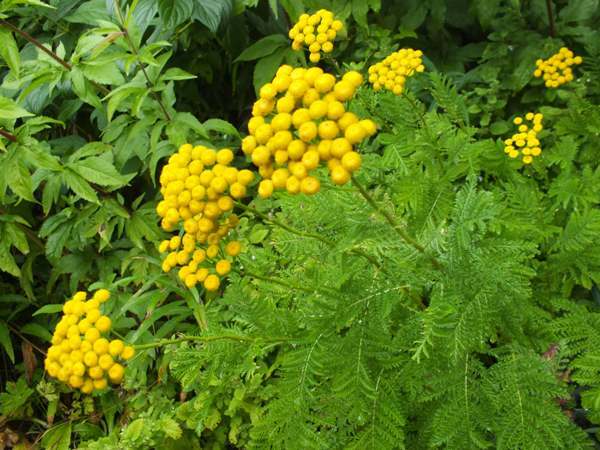 Tansy is a distinctive, tall clump-forming perennial with alternate fern-like leaves. This uncommon wildflower grows most often on dry banks and waste land, but it can also tolerate wet areas such as riverbanks and lakesides. Tansy plants usually grow to 1 to 1.2m tall. In Britain and Ireland the flowers of Tansy form densely-packed flat-topped inflorescences from late June through to early October. Tansy is usually at its best in August and early September. The button-like compound flowers are formed by many disc florets arranged in neat spirals, and each buttob has a characteristic dimple-like depression in the centre. Florets are typically 6 to 10mm across and usually have no ray florets (only very occasionally do they have daisy-like outer 'petals' on the outer florets). 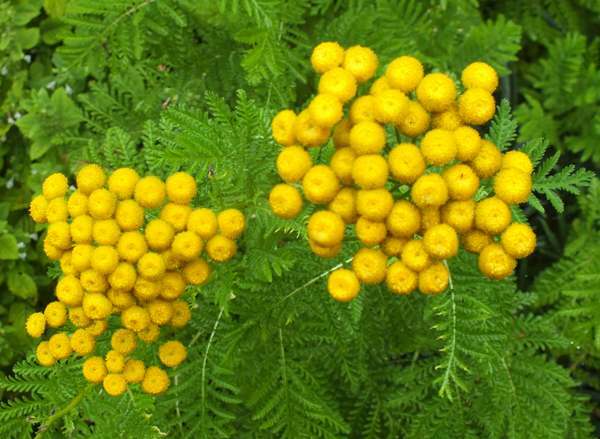 In the past Tansy was used as a treatment for tapeworms and many other ailments; however, if eaten in large quantities this plant is known to be poisonous.